Who does Koll sign with? 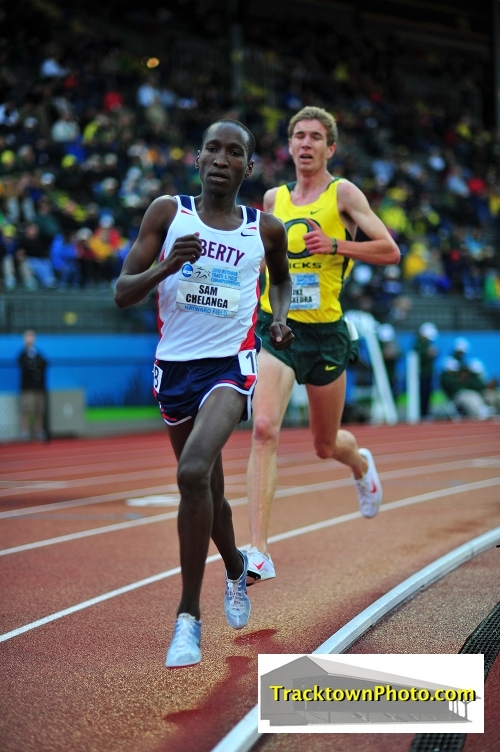 What happened to Bizzarri in the 5000? 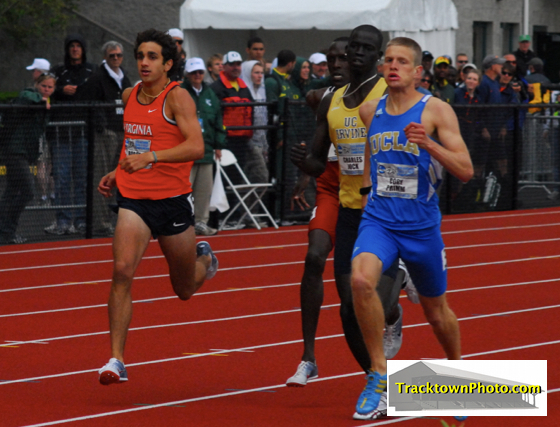 Robby Andrews: 2010 World Junior Championships 800m could he win? Good Job Ducks. Even though Texas A&M women are a lock now. LRC Day 3 Recap - Wheating!!! 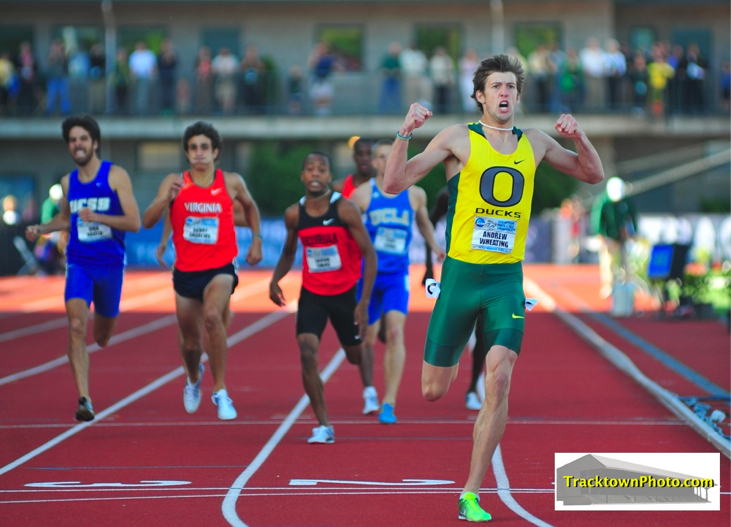 Saying he'd never been more nervous for a race, Andrew Wheating delivered the goods in the biggest race of the 2010 NCAA championships by winning the 800m final by over 1 second in 1:45.69. Lisa Koll also came through with a big win as she did what even Sally Kipyego couldn't and won the 10k/5k double, causing NCAA XC champ Angela Bizzarri to sit down on the infield with 1,400m to go. Other winners included Phoebe Wright, Jeff Demps in a sub-10, Ashton Eaton barely missing the NCAA decathlon record and Matt Hughes in the steeple.